For all WTG climbers who are required to access and work in the hub (inc blade area) areas of wind turbines. This course includes Hub and Yaw area rescues. 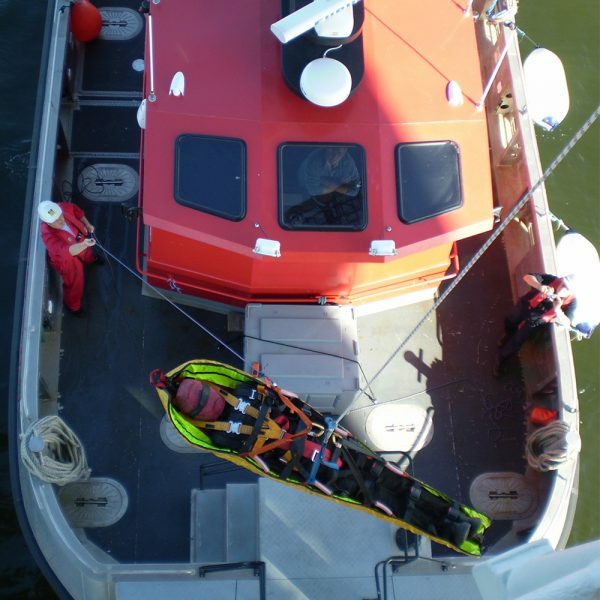 Advanced rescue and evacuation from wind turbines. For people who are competent to work at height and require skills to provide rescue or self-evacuation from wind turbine generators. This advanced hub rescue for wind turbines training course provides the skills needed to assess and plan a hub rescue, make the casualty safe and remove them to the ground. Practical exercises include live rescue of a casualty from the ladders and use of the evacuation device from height. The training facilities are purpose built to provide a realistic working environment. This rescue training course is for all Wind Turbine Generator climbers who are required to access and work in the hub (including the blade) areas of wind turbines. The course also includes Hub and Yaw area rescues. Includes the elements of a Safe System of Work, including equipment selection and inspection, use of tools, risk assessment, method statements and emergency procedures. Completion of TTS5U Climber course for Wind Turbines. This course is not intended to teach the elementary use of fall protection equipment. It is essential that all candidates are already competent in such use, including understanding how to fit and use a harness, the need for safe connection at all times and the use of energy absorbing lanyard. Candidates will be required to produce suitable valid certification prior to acceptance on course. Minimum age 18 with fluent English.